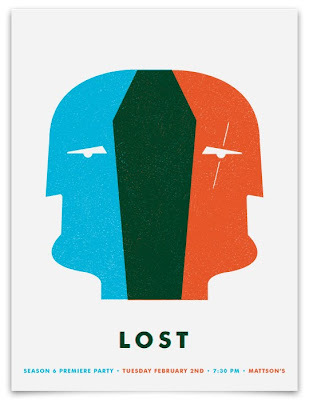 This guy created some sweet looking LOST posters. The artist is Ty Mattson. Dude, did you find those on FFFFOUND? That website is incredible. Being a designer and working in a creative field I survive on sites like that. I have seen movie posters like this before but never TV shows. That guy has some insane talent. Good find man! I love it! I love the posters, but I guess there's no way to buy them, or...? Wow. Impressive. Though the dismembered hand is a little disconcerting. I also made my own for the Spanish premiere, I hope you don't mind my posting it here? WICKED!!!!!!!!!! 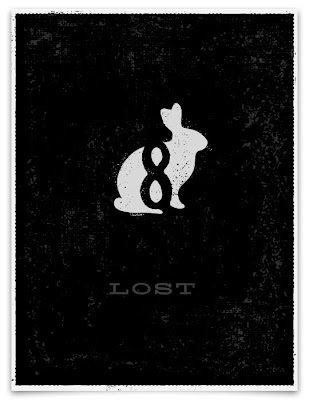 I love the rabbit one and the first one is great. Simplicity at it's best getting the point across in full dramatic effect. I love the posters too...I'm definitely going to check out that blog...I love how the graphics are so simple, but you have to be into the show to "get" them. I'd love to be able to buy one of those. I absolutely love the rabbit one! Wow very cool...me and me friends need to do something creative like that! These are awesome...I just have to post this as well. You just made that dude's year, man. 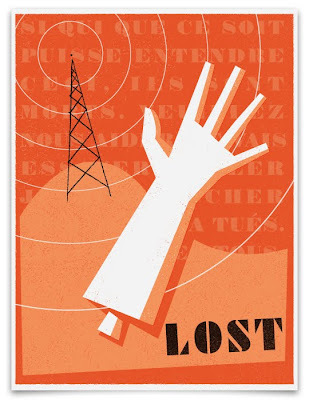 Ty Mattson is the designer who created those, for his own LOST S6 premier party! ooh the Bunny one gives me chills. That guy is amazing. ... hey, could you answer something for me? I always wondered if you guys filmed anything near the Napali Coastline? There have been so many times where it looks like scenes are near there yet when I look it up, I can't find anything about Lost ever being filmed there. It's really bugging me. I have to ask... Are you going Saturday to Sunset on the Beach? I caught a link these through one of my design feeds on Twitter... Fantastic work!